Started in the 90s, this BMX band has since become a prominent player in the industry. Down their memory lane, MARIONEXXES has gone through plenty of maturing experiences; from losing their records in a Singapore’s police investigation to the arrest of their frontgirl, the band has got it all. Their days ring in December 1997 with pioneering members including Ernie (vocals, lead guitar), DekDo (drums), Piko (bass), Johan (guitar, back-up vocals) and Joe (keyboard). Objectified towards making the sounds of happiness, the band came up with their first single in the same year, Bicycle Model X. Two years later in 1999, the band then came up with their baby release, STICKY SPOILLY THEPOPPYCOCK Rehearsal which contains 3 mega hits; Jalan Dobi, Marilyn Monroe and Freshie from Boarding School. Soon after, MARIONEXXES gained a larger fan base, entitling their baby a stepping stone award. After having gone through few changes in their line-up, Marionexxes’ line has now been well-perfected, making their visibility becoming more formidable than ever. Lyrically influenced by Jarvis Cocker, MARIONEXXES is one musically versatile band. From Kassim Selamat’s melodies to current disco tech, the band owns them all. MARIONEXXES’ music is one of the most original blends of melodies, adding a pointy uniqueness into their artworks. Being lyrically beautiful may have helped bridging MARIONEXXES to their fans, yet the most noticeable is their music. It’s a breathtaking mix of unmatchable melodies! (Yeah, you can say so). This BMX band has been creating inimitable music, some may find it freaky, but most will find it freakily exquisite. 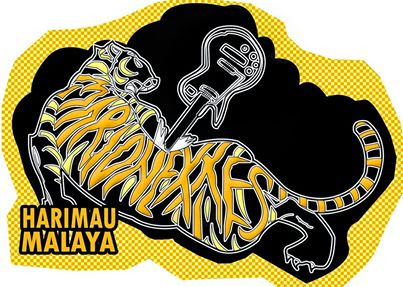 "Ride the BMX, Listens to MARIONEXXES"
Universiti Malaya based, MARIONEXXES is the old Malaysia band started in 1997 by the BMX kids from various boarding schools but the band is just make a move out from their DIY scene to make a proper record with the band's own independence music. It is hard to keep the band alive when some several changes have been made due to the politics issues attacked the original line up. The band take almost 3 years suffered after their front-girl arrested in that untold incident. In 2005 the band reformed at Universiti Malaya to play some alert shows to tell the scene that they still alive with their new breath faces. The substitute have been make, the band keep their noise below the radar. They will soon be in the mainstream airplay if the chances come over it. The band 1st DEBUT ALBUM is start in process by late December 2007 with the last 10 years documentation album memories of MARIONEXXES. Check on the band's album'BAND MUSIC X' in stores NOW!